I can't say I would highly recommend this hotel. It was undergoing refurbishment. From a wonderfully old regal building to an Ikea nightmare. Such a shame. 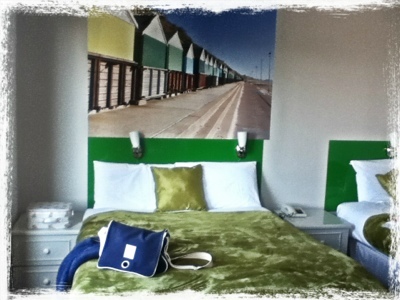 The room was clean and fresh but the paintwork was terrible! ...and which genius put reading spotlights just where you want to rest your head against the headboard?